Is it just me or has 2008 hurtled past us at great speed? Is it really coming up to the DMC World finals already? Apparently so as DMC have written to me to let me (and you) know that tickets are available for the finals. Taking place on 26-27 September (that's a Friday and Saturday) at the Indig02 in good old London Town, England. 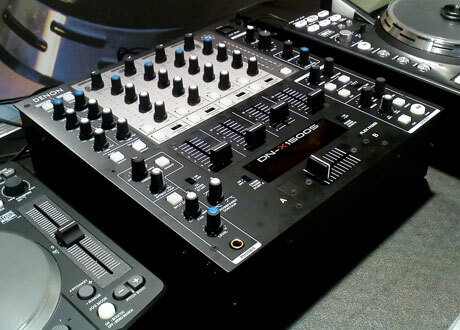 One small piece of news that did come from the DJ Show North was the appearance of a eversoslightly changed Denon DN-X1500 mixer. You'll recall that it had an S tagged on the end to denote a silver faceplate, new fader and some other gubbins. Well now it has a K as well to denote a black faceplate to match the new 5500 wonder deck. While most of us can't help but make an incredibly annoying scratchy noise on anything with a rough surface, Art Lebedev have capitalised on this and will happily sell you a credit card sized scratch pad for a 2 quid, 3 euros, 4 bucks or 20 million ZImbabwe dollars (that's not a joke). Or you could send me the cash and just do the zipper scratch instead of wasting your money on such utter rubbish. Another blisteringly hot day - another DJ Show North. Seemed like such a shame to spend time looking at DJ gear when I could be doing... well nothing in the sunshine. When I say nothing, I actually mean sale shopping with Mrs Gizmo and then topping up the groceries. Still, it was better than being in an unpleasantly hot building, having my hearing systematically destroyed by mobile DJ gear. 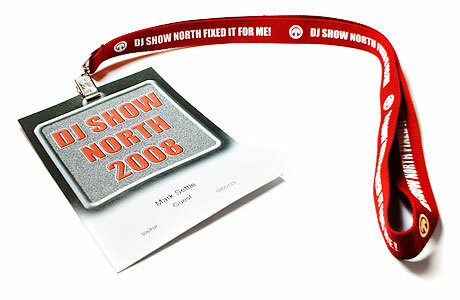 But venture I must to DJ Show North 2008. The Innofader Roadshow marches forward across the US, with Elliot Marx venturing out of the Audio Innovate lab in deepest Asia to pimp his wares to the Innofader hungry masses. First it was NYC, and now it's the west coast that can "Feel My Innofader" for themselves. DMC smells coffee - teams go digital! 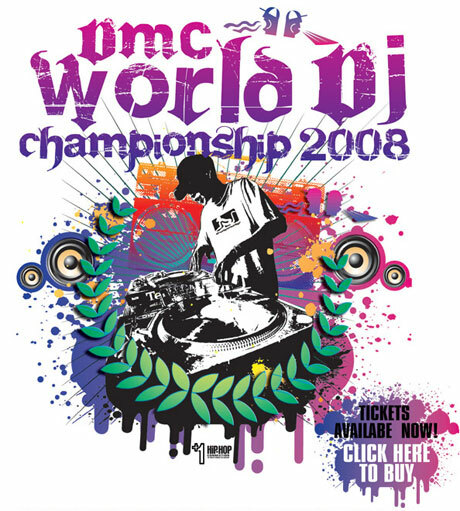 A couple of years ago, me and few friends were sat at DMC 2006, watching Enferno do a blinding showcase using laptops and loopers alongside turntables. We all agreed that it would be better if everyone could use this kind of gear and unleash the creativity instead of being limited by just turntables and analog mixers. It wasn't just me and my pals, but a scratchernet full of voices hankering for change. And DMC have heeded the words and change is afoot. This year, as a move in the right direction (and I guess to evaluate the potential logistical nightmares), the teams will be unfettered in their use of technology. Shamelessly and clumsily crowbarring the song title into the headline, you could win a huge stash of M-Audio gear. 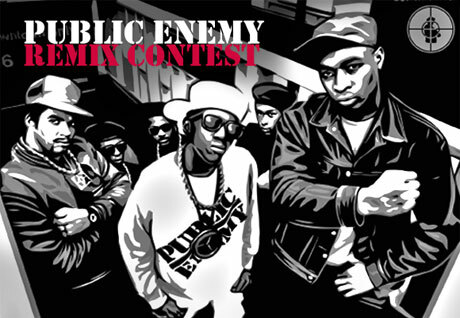 Public Enemy have teamed up with M-Audio to give you a chance to get a remix released as well as kit out your studio with some factory fresh goodies. Take one PE acappella, don your remixing trousers and see if you can make something worthy of release. Stanton may well be keeping the DJ world on the edge of their seats with the hugely anticipated SC system, but while we wait for them to pull their finger out, they do have some goodies for us to paw and fondle. 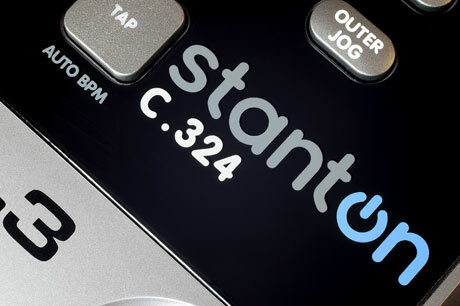 One such goodie is their new C.324 CD deck, which essentially updates the C.314 unit with a few new features. I threw it around the skratchlab for a month or so and despite what many of you haters would like to hear, I really liked it. I like software companies, because in the relatively news-free dead time between trade shows (I really don't count Summer NAMM), they're usually a minor flurry of upgrades and betas unleashed. Last week it was M-Audio's Torq update, and this week sees Native Instruments' Traktor family getting a point release. Nothing too major - mainly under the hood stuff but the odd bell and whistles does get snuck in too. 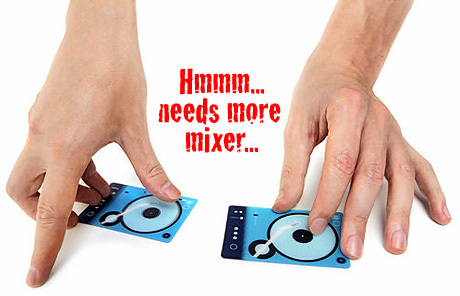 While skratchworx fills a much needed gap in the market, we can't do absolutely everything in the DJ scene. Thankfully others step in where we fear to tread and provide much needed advice post gear acquisition. SonicAcademy.com builds on their success as an actual real training facility and unleashes their presence into the virtual world, offering online training courses for not much money at all. 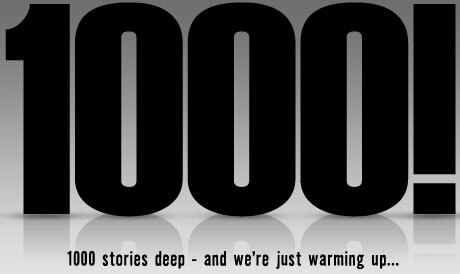 Today marks a real milestone in the history of - this is the 1000th news story, and it's all about how bloody brilliant skratchworx is. July usually sees flag cracking weather and an deeply sauna like trip off to the railway shed that is the DJ Show North. This year however, they've moved venue and will be packing even more into the Royal Armouries at Leeds. It's nearer my house and importantly probably air conditioned. Even in these rapidly evolving technology led times, there's still very few times when I'm generally knocked out or bowled over with the next big thing. I guess because our minds are already racing so far ahead of what's already out there, that when it finally appears, it's not really a surprise and often falls short of our over active imagination. 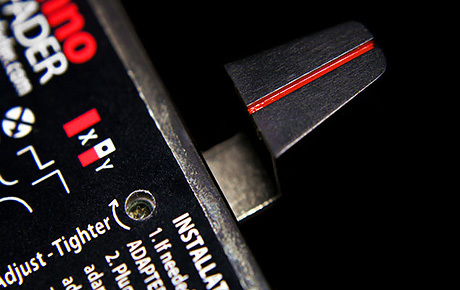 But when I saw Rasteri's first MIDI Scratch controller, my heart skipped a beat. Now after some hard work, more testing and slipmats from me, he's now got v2 up and running. And I'm making trouser tents just thinking about getting one of these in my dirty hands. At this year's Winter NAMM, M-Audio unveiled the next generation of their DVS system - Torq v1.5 - along with a stupidly derided $50 upgrade fee. But it seems that you have time to save for the upgrade as its still somewhere on the horizon rather than close to the retailers shelves. But in the meantime, the M-Audio lab rats have been working hard to polish v1.06 into something a little better. Torq v1.07 is out now and available for download. In a very unGizmolike moment of forward planing, I checked the exhibitor list for this year's PLASA, and within seconds had scrubbed it from my calendar. Sad but true. But this year's BPM Show however at Donington Park looks to be even better than last year's maiden voyage. And I'm 100% behind it and hope to get as many of you there as I can. Get your tickets early from the BPM site by clicking the affiliate banner at the top of this story or in the right hand column. Equine type animals have for some strange reason been popular in the scratch game. Roc Raida's affinity with Horse is well documented, so it comes as no surprise that another class DJ act should pick up the reigns and run with the theme a little more. Awekid and DJ Muzzell have already spread their Donkey fixation across 2 quality releases, but now it's time for the third - Donkey Work III, that has some frankly disturbing artwork. Not so much the content, but it's a worrying glimpse into the mind of these guys and frankly I'm a little worried. The digital age does have some advantages, one being the ease in which record (or should that be MP3) pools can become way more cost effective, efficient and able to serve so much more music to so many more people. Such is the way of IDJPool who have decided that you should know all about them and just how vast their music choice is each and every week. And for 3 lucky people, you can sample that sheer enormity of their selection for yourself for a whole month. aurora Open Source DJ Mixer\MIDI Hardware w/ Ableton Live from aurora mixer on Vimeo. While some wait and hope for Mr Big Manufacturer to actually make the very things we keep telling them we want, others stop moaning and just get on with it. And in the continuing era of DIY DJ, aurora is one such project. Open source i.e. you can make one for yourself or get the guys to do it for you, this is one project that should bear much fruit in the coming months and years. As the Innofader edges ever closer to the retailers shelves and the insides of your mixer, Audio Innovate is getting its PR offensive in place. Having run a few small "Feel My Innofader" events in the US, Elliot Marx is concentrating all his efforts on stepping on their throats keeping the pressure on the factory to get the hugely anticipated Innofader out there into the hands of already salivating DJs. In the meantime, the spanking new Innofader website is up and running, complete with new some saucy hi res shots for you to pleasure yourself with.